Diet for horse with colics! Because riders can also enjoy the benefits of stones! The properties of agate are to bring emotional, physical and intellectual balance by eliminating energy blockages inside the body and stabilizes the energy of the physical body. Agate stabilizes the aura. Another property is to harmonize yin and yang. 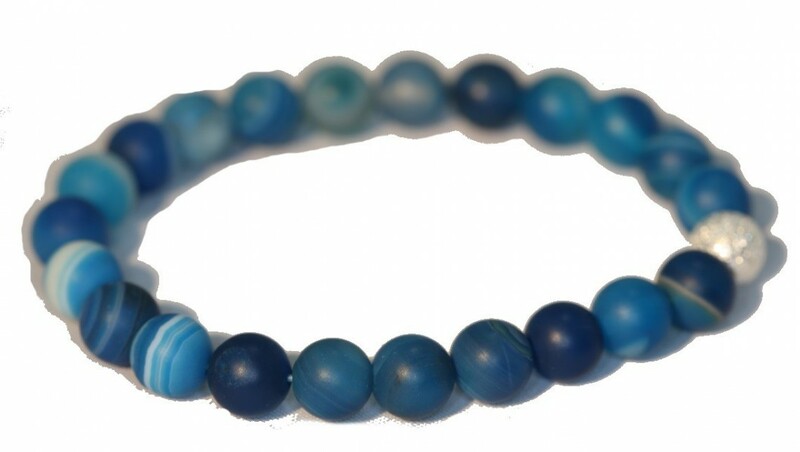 Agate is a soothing, calming stone that acts gently. Pierre calms unexplainable anxieties and helps decision-making. The agate tinted has the qualities of natural agate and it will be necessary to rely on its tint to know towards which benefits are directed its energies. The stones, coming from the 4 corners of the world are certified "Conscious stones" allowing all people to associate their stone to a charitable project around a mine. These are carefully selected by a certified gemologist. Cleaning: Stones should be regularly washed and cleaned. The latter absorb the energies of their environment. In addition, dust can affect the properties of crystals. Pass stones under running water to purify and clean. To recharge your crystals, you can place them in the sun (be careful not to leave the quartz too long in your absence in the direct sun for a long time for the risks of fires) or lunar light (mainly during the full moon Or moon changes). Your order is placed in a Bpost point within 48 hours. For Belgium, delivery in 3 working days. For foreigners, count 2 to 3 additional days. The proposed payment methods are completely secure. If you are not satisfied with your purchase you are paid back. Customer service is at your disposal Monday to Friday from 9am to 18pm.